Vintage Old Postcard. India Indian. Kailasha or Rang Mahal, Cave XVI. Ellora. Kailasha is really a wonder of the world. 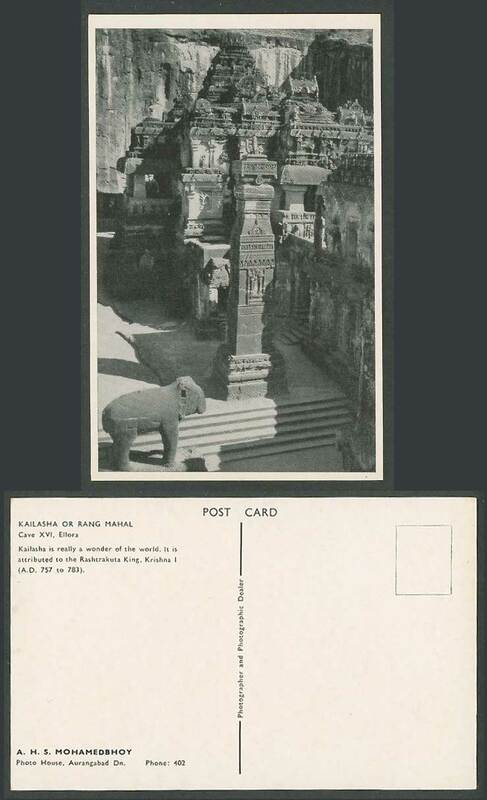 It is attributed to the Rashtrakuta King, Krishna I. (A.D. 757 to 783). Elephant Statue. Steps.